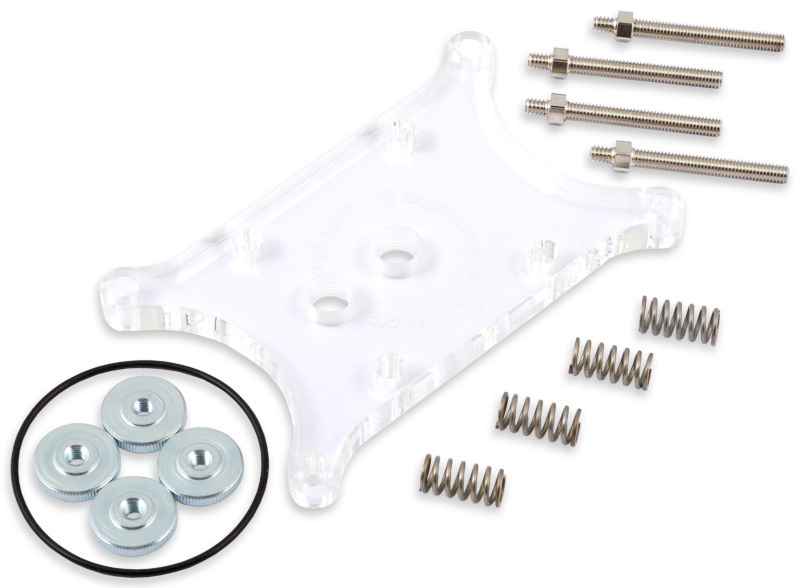 This set can be used to install a cuplex PRO water block on a Socket AM4 motherboard. To do so, the acrylic top of the water block will be exchanged. We recommend to exchange the gasket whenever the water block is being disassembled. A replacement gasket is included in the conversion kit.